Jay-Z has apologized to fans after technical difficulties forced him to cancel his gig in Nebraska. The hip-hop star was due to perform at the Pinnacle Bank Arena in Lincoln on December 6 as part of his 4:44 Tour, but decided to axe the show after running into technical trouble, Billboard.com reports. "This tour is too important to me to do it halfway," he said in a statement published by the Omaha World-Herald on Saturday (25Nov17). "I have to cancel the show. I respect you guys too much to take the money and run." His production team would not be able to properly set up the tour's video screens in the building, the newspaper reports. Retailer Ticketmaster told its customers that refunds are available at the point of purchase, with online and telephone orders automatically refunded. 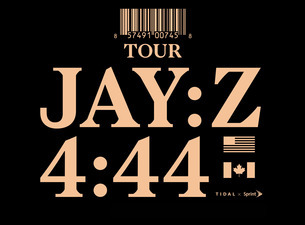 JAY-Z's tour will finish in Los Angeles on December 21. Meanwhile, the Hard Knock Life rapper dropped three new videos on Friday - much to the delight of his fans. The star-studded visual for his track Legacy features appearances from Hollywood stars including Ron Perlman, Jesse Williams, Susan Sarandon and Emile Hirsch, and was written and directed by Jeymes Samuel. “Legacy. That’s why I called y’all here, not ‘cause of skin color or some wistful dream of freedom. The story you leave for people who come behind you,” Perlman says in his take on the criminal justice system in the video. Videos for two other 4:44 tracks, Marcy Me and Smile, the song featuring JAY Z's mother Gloria Carter, were also released. The father-of-three has already recruited A-listers for his previous music videos for tracks from 4:44, including Oscar-winning actor Mahershala Ali, Lupita Nyong’o and Donald Glover.